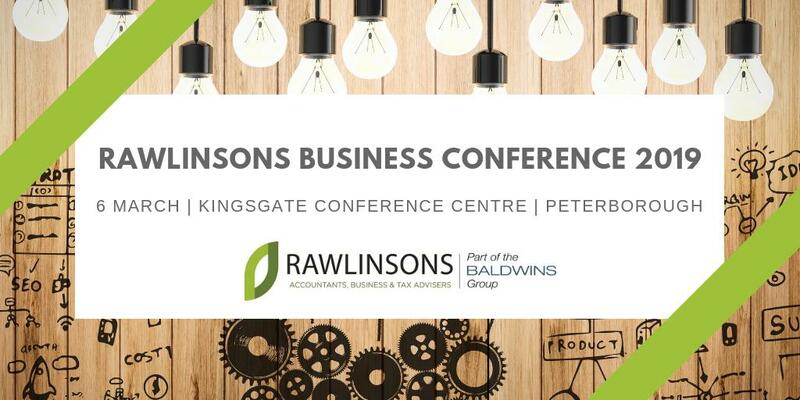 The 5th annual Rawlinsons Business Conference will be held at the KingsGate Conference Centre on Wednesday 6th March 2019. The full morning conference will feature a number of high profile speakers from the local business community and Rawlinsons are delighted to announce that this year’s keynote speaker is Caroline Plumb OBE, founder and CEO of Fluidly. After more than 15 years, and 3 successful businesses, Caroline will share the story of her entrepreneurial journey, the challenges she faced and how she founded Fluidly to address the biggest cause of sleepless nights for small business owners, namely cashflow management. Caroline is one of the Prime Minister’s Business Ambassadors and was awarded an OBE in the Queen’s 90th Birthday Honours List in 2016. In addition to Rawlinsons, there are a number of organisations participating in the event, through the main presentations and two breakout sessions, which will allow delegates to gain invaluable advice from local experts on improving business performance in 2019. The programme also includes an exciting session by Roleplay UK, a unique company which works with businesses to develop their people with both the skills and confidence to be more effective communicators. 2019 speakers also include: Anne Corder and Nel Woolcott from Anne Corder Recruitment, Ben Harper from Clarity Stack, David Woods from Greenwoods GRM Solicitors and Alex Curtis from The Lead Engine. Please click here to download our full programme, which will help you decide which breakout sessions you would like to register for. The conference is free to attend. The conference will finish with a buffet lunch to allow for further discussion and networking.